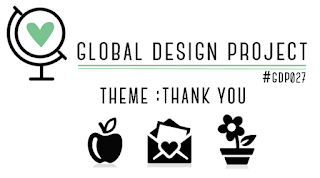 The theme over at the Global Design Project this week is 'Thank you' and I truly have so many people to thank after the exhausting and huge effort it was to help us move recently. 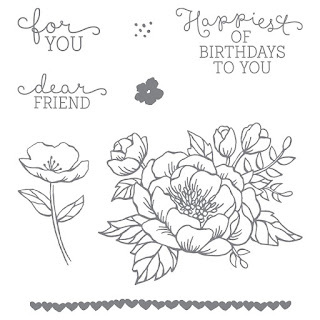 I have had the opportunity to make so many amazing friends through Stampin' Up! and when making the decision to move and consequently leaving so many of my Stampin' family, to say it was tough would be an understatement. The first couple of weeks were the hardest emotionally and I am so thankful to Karen Wilson and Denita Wright for coming over with beautifully cooked dinners for my family in the first weeks we were here and also extremely grateful for their friendship. Sweet, simple note card. The size of these cards might be a bit deceiving by the photo, however they are only 9x13cm and fit into note card size envelope. Perfect for a quick note to say thanks. 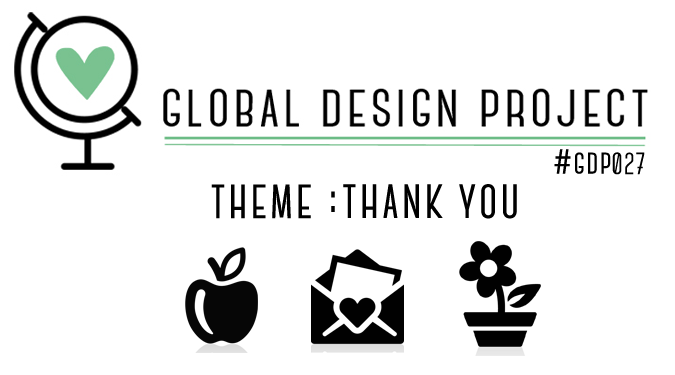 Make sure you go and see all the beautiful 'thank you' creations over at the Global Design Project this week. I am blown away with the Design Team each and every week. Woo Hoo!! 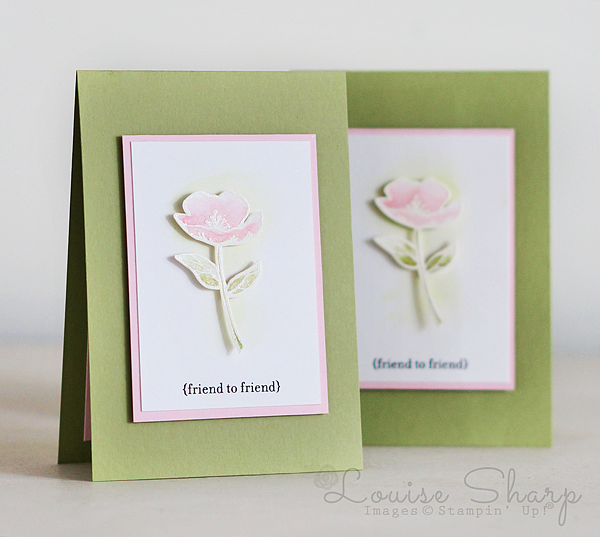 I am so thrilled to see you back playing along with the Global Design Project this week Louise! What a wonderful welcome to your new home - to have both Karen and Denita help you PLUS they are such talented card makers. I love seeing their projects on the Global Design Project each week. What a sweet looking card and such a great way to say thank you. It is so wonderful to have you back with us at GDP. These cards are so sweet and pretty. Lovely card! So soft and Spring-like. Beautiful cards Lou, please come and give us a class, miss your gorgeous cards. I love your card. It's so pretty! Sweet Lou, so wonderful to see you back and with such a gorgeous creation! I have missed you and your lovely projects! Love, love, love - such a lovely card. I always love visiting you blog to see that touch of pink! Very pretty - love this technique of embossing in white and then watercoloring. Haven't tried it yet but it is on my list! Oh Wow!! Your card is so soft and beautiful, Louise!! I just love it!! WOW - the white embossed outline is beautiful and soft!